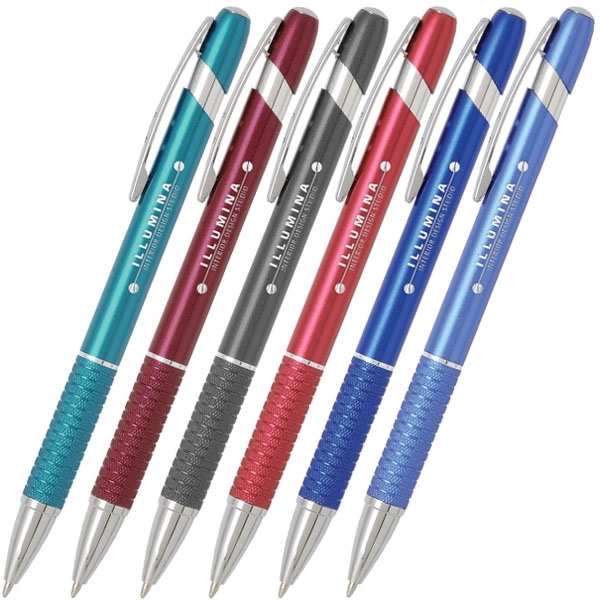 Stylus ballpoint pen with a textured metal grip, chrome accents, and a brushed style finish on barrel. Magna-Imprint™. Choice of black or blue ink. Patent: D648,795.